Gournia is the most characteristic of the excavated medium-size settlements, dated to the period of the peak of the Minoan culture (Late Minoan I period: 1550-1450 BC). It is called “Pompeii of Minoan Crete” because of the good state of preservation. The ancient name of the site is unknown. Its modern name originates from the stone troughs (gourna) found among the ruins. It occupies a low hill, close to the sea, at the Isthmus of Ierapetra. The first inhabitants settled here in the Early Minoan III period (2300 B.C.). Remains of the Middle Minoan period (2000-1600 B.C.) are also preserved; in c. 1600 B.C., the palace was erected but was destroyed along with the surrounding town in 1450 B.C., at the same time with all the other palatial centers of Crete. Fifty years later the site was partly reoccupied and was finally abandoned in around 1200 B.C. The most important monuments of the site are the unfortified town on the slopes of the low hill. Two peripheral paved streets cross at right angles with others which climb the slopes of the hill and are often stepped; they are all connected to a drainage system and divide the town into insulates, seven of which have already been excavated. The two-storied houses (the larger measuring 5 x 5 m.) have common outer walls. Preserved today are the magazines and workshops of the ground-floor and the underground rooms, reached by wooden ladders from the upper floor. The upper floor, the actual living quarters, is accessible by a staircase straight from the street. The walls of the lower part of the buildings are stone built, but the superstructure was built of mud bricks. The town of Gournia offers a picture of everyday life of the Minoans: their main occupations were agriculture, stock-breeding, fishing, pottery, and weaving, as indicated by the relevant tools (chisels, hooks, hammers etc.) found during the excavations. Other, more luxurious vases (such as rhyta and ritual vases) were also uncovered. The palace - seat of a local ruler - is built on the top of the hill, to the west of the rectangular court, on which open many of the private houses. It was the centre and, possibly, the agora of the town. A low flight of steps, L-shaped, is attached on the south side of the building, facing the court. It seems that people sat here, to watch the ceremonies of ritual character, so the courtyard served as a primitive theatric area. Behind the steps is a small room, paved with a stone with holes in it, which was thought to be a platform for bull sacrifices; beside it lay a “kernos” - a small stone with hollows - serving for libations to the gods. The west side of the palace opened on a small paved west court, and had a monumental facade, with recesses and projections, a door in the middle, and windows which are not preserved today. The interior of the palace is not well preserved, but had several official rooms and magazines, over which were spacious halls. The central hall of the palace was separated by the central court by a row of round wooden columns, alternating with square stone piers. 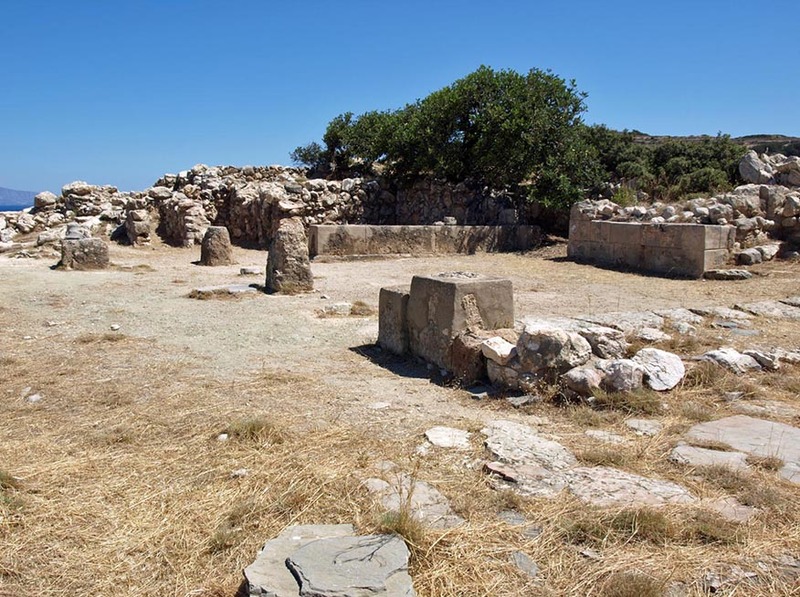 To the north of the palace and independent from it lies a small public shrine dedicated to the Minoan “Snake goddess”. It lies at the end of a blind alley, is almost square (3 x 4 m.) and has a bench on the south side for the deposition of religious objects, some of which were found in the excavation: clay figurines of the goddess with raised arms, a tripod altar, and snake tubes. 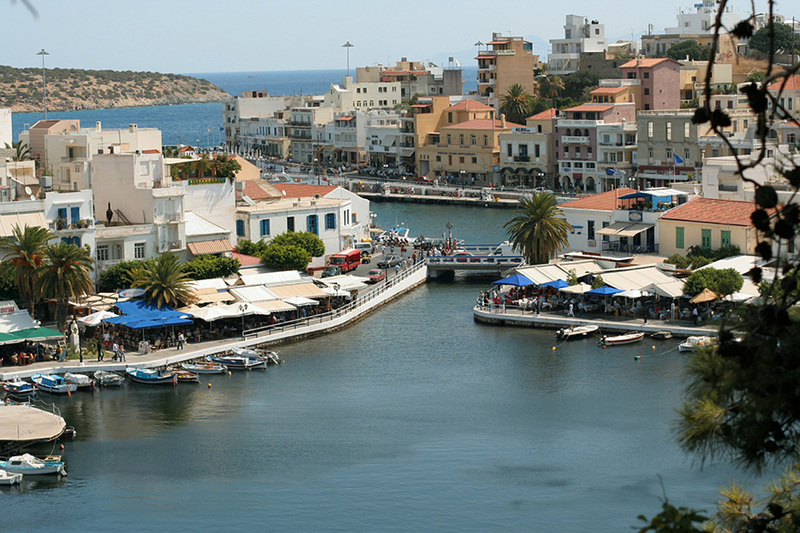 If you wish to get to know the essence of the people from Kritsa, you must first gain an insight into the “soul” of their locality. Only by understanding their interconnectedness with the natural environment, and the nuances of their actions and behaviour, will you have an appreciation of the character and soul of the Kritsan people. Kritsa is a unique community of people with their own cultural progression, their own tradition, and their own local dialect. 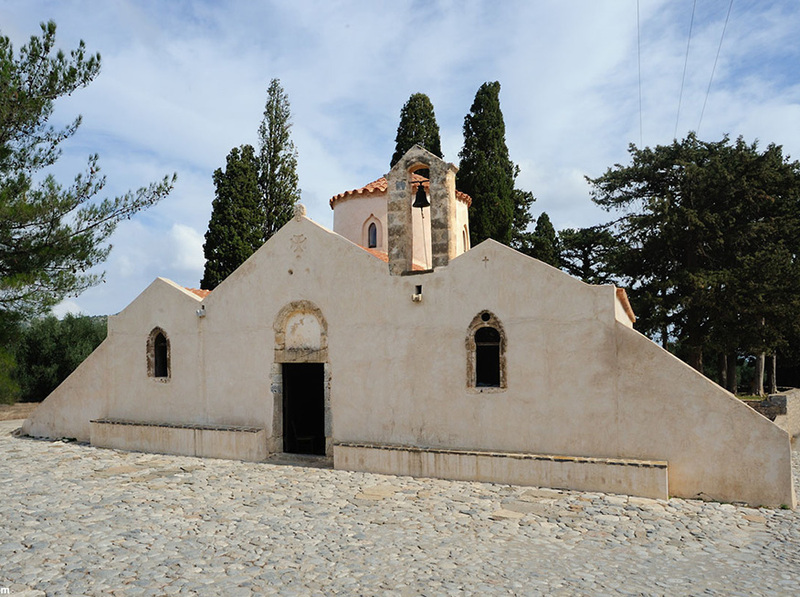 Their locality rises gradually from a place where the sun shines on the sea, to the highest peaks of the Dikti Mountains towards the west, creating two flat geological plains in between, one called the plain of Kritsa where the village is situated at the lowest point, beside abundant water springs and extensive olive groves, and another at the Plateau of Katharo. The subtlety of the natural climatic changes of the area, and its high altitude shape the soul of its people, a soul that is rough-hewn, yet hospitable.